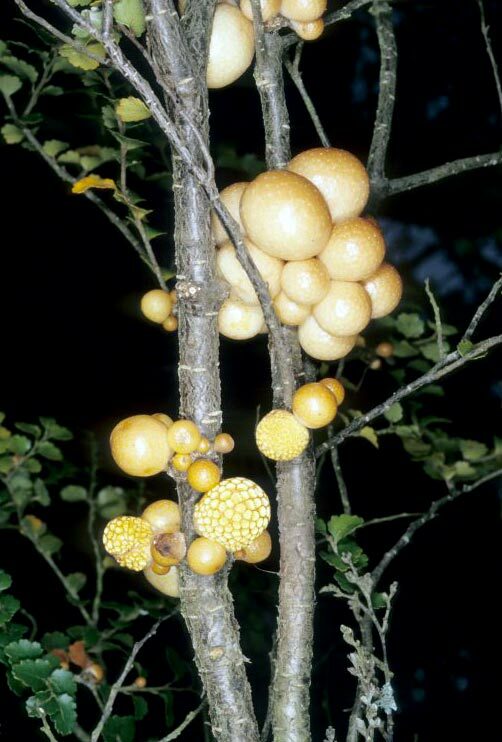 The soft, yellow-orange fruiting bodies of the beech strawberry (Cyttaria gunnii) are about the size of a golf ball. This fungus is a parasite on silver beech. The fruiting bodies form in spring on the outer branches of infected trees.